Pay Off Your Bills and Get a Home Addition with One Loan! Having trouble keeping up with your bills? Are interest rates causing your debt to get out of hand? Are much needed home improvement projects getting pushed to the side while you try to reign in your debt? Your Project Loan has a solution that addresses both of your needs. Learn how we can help you off your bills and get a new home addition with just one loan! First, you take out a loan from Your Project Loan. This loan will cover the amount you owe on your bills. Second, you use this loan to pay off everything you owe. Third, you make one monthly payment on your loan. It’s as simple as that. The advantage of tackling your debt with a loan is that you consolidate it all into one place. Instead of scrambling to meet deadlines, payments, and keep tabs on it all, you just have to make one monthly payment. Not only does this make your debt easier to keep track of, it also slows down its growth due to high interest rates. You may be able to get a better rate than you were paying previously. Why let your debt get any higher than it needs to be? 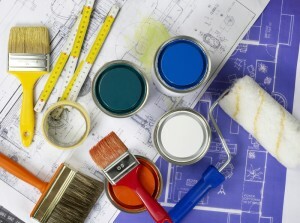 In addition to loans for paying off your bills, we also offer loans for home improvement projects. Your Project Loan has been helping homeowners with the home improvement needs for more than 55 years. So how does this apply to your situation? If you need to pay off your bills and you also need to get to work on some long-delayed home improvement projects, we can help. We can combine your bill loan with a loan for a home improvement project, like that home addition you’ve been meaning add for your growing family. We can even structure the loan so that the loan for the addition adds little or no extra cost to your monthly payment. It’s never been easier to take on your debt and home improvement projects with just one loan. Contact us today or fill out a simple 60-second loan application to learn more! This entry was posted on Wednesday, January 14th, 2015	at 9:23 pm	. You can follow any responses to this entry through the RSS 2.0	feed. Both comments and pings are currently closed.